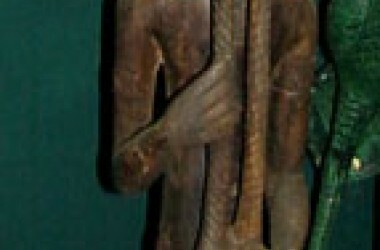 40" tall wooden man, holding his braided beard. Artifact look. Rather large hand carved item.